Even the gods pray to the cow. She contains the divinity of all the Gods. A pious day starts with her worship. She has prominence in various religious festivals. Sankranti and Deepavali are specially cow related festivals. Cow products are essential in different religious rituals. Thus, cow is integral part of our life. 6.She is Kamadhenu – the divine cow that fulfils all our desires. Her body is of cow and face is of a woman. She was born before the amrutha when the ocean was churned. Her hair exudes fragrance. From her udder she showers Dharma, Artha, Kama and Moksha. She is an abode to self-knowledge, shelters, Sun, Moon and Fire God. All the Gods and the living beings depend on her. She provides us with food and supreme knowledge even when we mildly pray. Let her be near us. 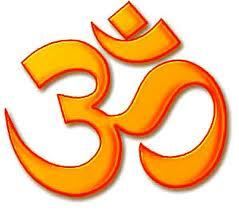 12.Bhagavad-Gita is the essence of Upanishads. It is like a cow whom Srikrishna milks. Arjuna is like a calf. The learned devotees are drinking the ambrosial milk of Bhagavad-Gita. 13.Cow is my mother and ox my father. Let the pair bless me with happiness in this world and bliss in heaven. I depend on cow for my life – thus stating one should surrender to cow. 17.Cow’s urine, dung, milk, ghee, curd and gorochana – these six are the most auspicious products.